BRINKVISION RELEASES THE CRITCIALLY ACCLAIMED JENNIFER LYNCH DOCUMENTARY DESPITE THE GODS ON VOD AND DVD MAY 19TH! BrinkVision releases the critically acclamied documentary Despite The Gods , going behind the scenes of Jennifer Lynch's (David Lynch's daughter), filmmaking in India. Surrounded by a team of truly wonderful Indian crewm he 12 year old daughter, and a cast of Bollywood stars, Lynch does her best to stay sane and guide the production through a minefield of disasters. Despite The Gods has been winning awards, and screening at over 40+ film festivals and conventions worldwide, now will be released on VOD and DVD May 19th! Jennifer Lynch, daughter of cult film auteur David Lynch, made her auspicious directorial debut in 1993 with cult classic Boxing Helena. She was the youngest American woman to direct a feature film, and after that she took an extended hiatus. Fifteen years later, a recovering addict and hard-working single mother, Lynch returns to the director's chair with an ambitious project that will test her skills and the entire crew's sanity. 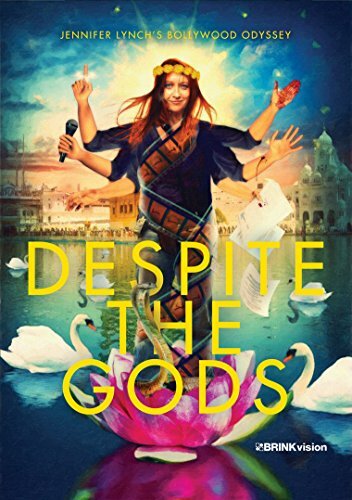 Despite the Gods brings us behind the scenes on the set of Lynch's Bollywood/Hollywood action film about a man-eating snake goddess. In the spirit of LOST IN LA MANCHA and OVERNIGHT, Penny Vozniak, friend of one of the producers hired on to do behind-the-scenes on HISSS, ended up chronicling Lynch slowly losing her grip over a much-extended eight-month shoot.